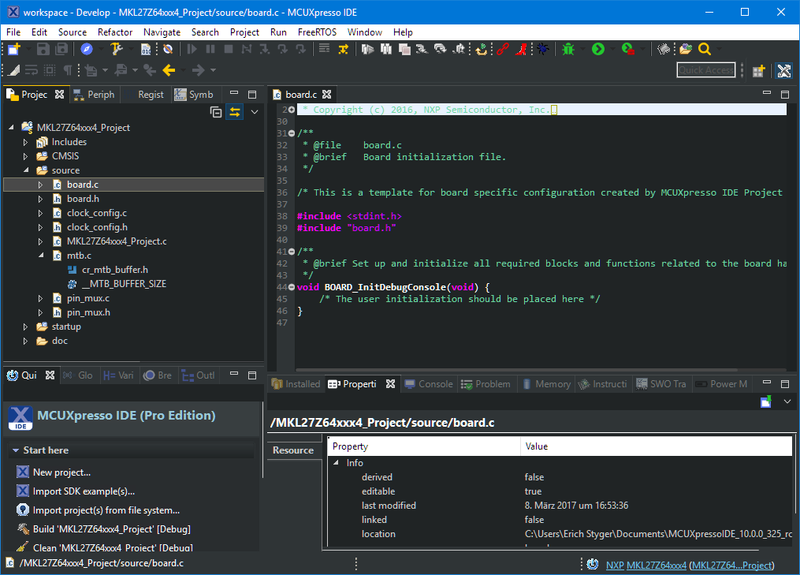 Digging the MCUXpresso IDE but miss the Eclipse Marketplace? Getting it back, and gaining access to all it offers, is as easy as installing a plugin. One great thing with Eclipse compared to proprietary IDEs are the thousands of available plugins. Yes, not every plugin is probably on the ‘must have’ list, though I have listed some in a series starting with 5 Best Eclipse Plugins: #1 (Eclox with Doxygen, Graphviz, and Mscgen). This article is part of a series of articles about the MCUXpresso IDE. 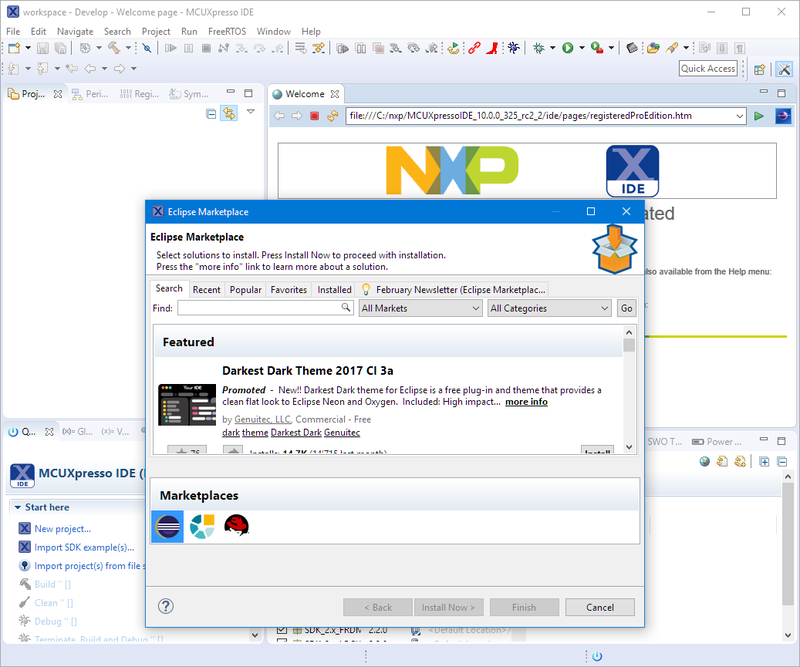 The NXP MCUXpresso IDE v10.0 is Eclipse Neon (4.6)-based, but does not come with the Marketplace plugin installed. 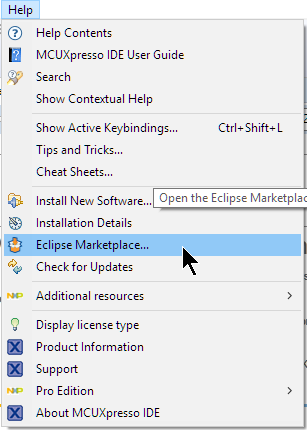 In this article, I’m showing how to install the Eclipse Marketplace into Eclipse Neon. The Eclipse Marketplace is a plugin inside Eclipse which I can use to search, browse and install extra Eclipse plugins. To install the client, use the menu Help > Install new Software and use the update site. If using a different Eclipse version (e.g. kepler or mars), make sure use the corresponding update site. 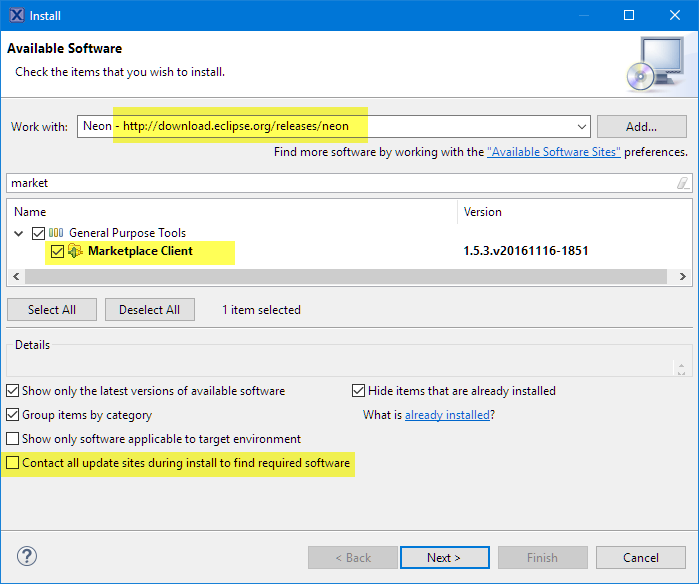 Select it and go through the installation process, with a restart of Eclipse at the end. If an Eclipse distribution does not include the Eclipse Marketplace client, it is easy to install it. After installation, I have a convenient way to get access to all the plugins available on the marketplace. Another usage of the Eclipse Market Place plugin is to install additional software that helps to use legacy Kinetis Design Studio projects in MCUXpresso IDE, which is the subject of the next article.